First, roll out the pizza dough into a (rough!) circle. 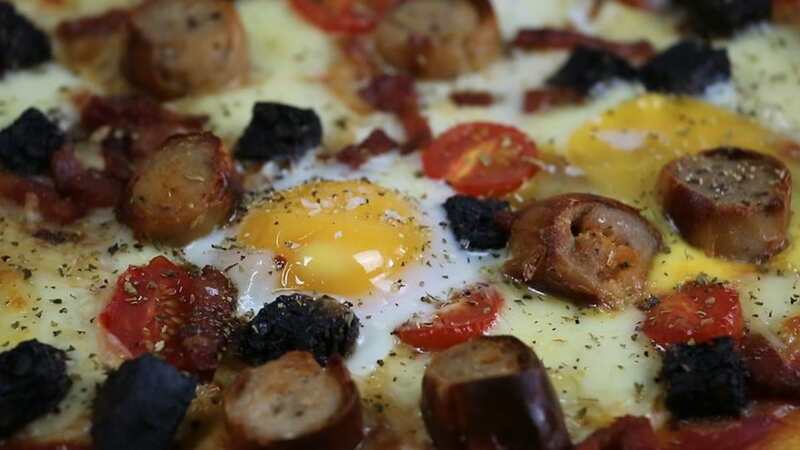 Spread on the pizza sauce, then add the cheddar cheese, sausage, bacon, black pudding, Mozzarella and cherry tomatoes. Bake for 5 minutes at 220 degrees Celsius then remove from the oven and crack the eggs on top. Bake for a further 6-7 minutes – until the egg white is cooked through.